The strange thing about search engines is that nearly 100% of what they index is nothing more than a guess, and sometimes they guess wrong. I've always been fascinated with search engines. Most of the time, when you search for something, they give you exactly what you're looking for, but sometimes they miss the mark. That's because a lot of the search results include pages that they misclassified due to incorrect guessing about the subject matter. For example, search engines often misclassify local content as national content and vice versa, or they confuse factual content with fiction. This often leads to bigger problems when new pages are posted based on research from incorrect information. Remember how easy it was finding somebody using the phone book? 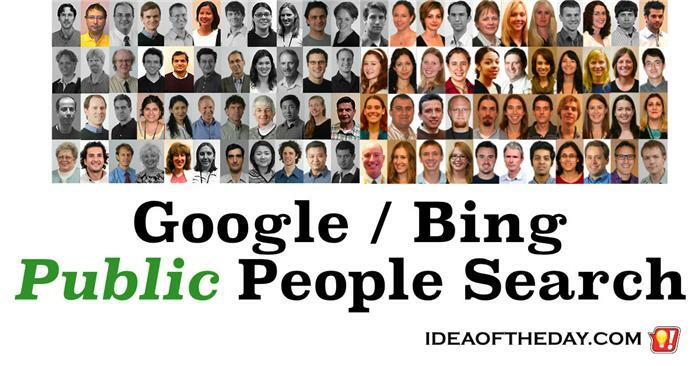 Why do search engines do such a lousy job finding people? Have you noticed how hard it is to find people using search engines? If you search for somebody by name, you get 100,000+ random pages in no particular order. It seems to me that search engines like Google and Bing should have a dedicated tab for finding people, just like the tabs they have for news, images, videos, maps, etc. I'm not advocating that we place private information online, just the information people are already posting publicly. So search result pages could simply start with the public profile pages on all the major social media sites like Facebook, Linkedin, Instagram, Twitter, Tumblr, Pinterest, Flickr, etc.